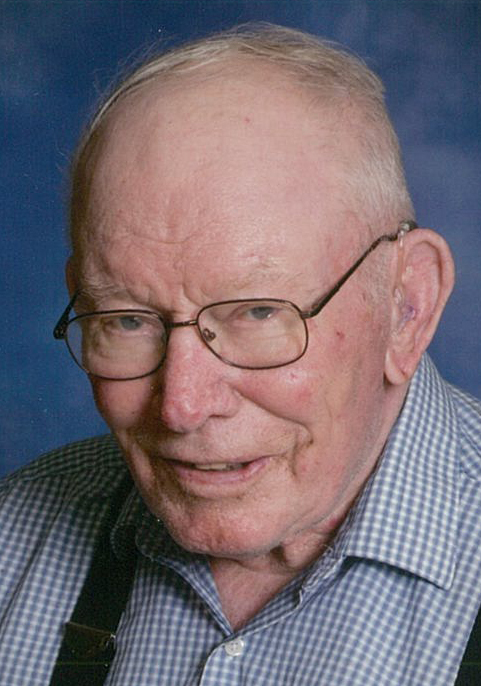 Former Lawrence, NE resident Robert Joseph Kohmetscher, 96, passed away Saturday, January 26, 2019, at The Homestead, Hastings, NE. Rosary is 7 p.m. Tuesday, January 29, and Mass of Christian Burial is 10:00 a.m. Wednesday, January 30, at Sacred Heart Catholic Church in Lawrence with Father Thomas Schultes officiating. Burial with military rites by Kent-Kailey American Legion Post #45 Lawrence and Nebraska National Guard Military Honors Team in Sacred Heart Cemetery, Lawrence. Memorials may be given to Kent-Kailey American Legion Post #45 Lawrence. Visitation is 2-8 p.m. Tuesday, at the Lawrence Chapel. Robert was born May 28, 1922, in Webster County, near Lawrence, NE to Alois John & Helen Mary (Lemke) Kohmetscher. Robert served in the U.S. Army December 1942 to November 1945. He married Kathleen Dorothy Schroer on April 23, 1947, at St. Stephen’s Catholic Church. She preceded him in death on January 1, 2012. Robert was a farmer until he retired. He was a member of Sacred Heart Catholic Church, Lawrence American Legion Post #45, Knights of Columbus St. Stephen’s Council, and the VFW. Robert especially enjoyed teasing his family and friends. Robert was preceded in death by his parents; wife, Kathleen D. Kohmetscher; son-in-law, Jim Svoboda; infant grandson, Douglas Svoboda; infant granddaughter, Anita Svoboda; infant great-granddaughter, Brittany Svoboda; and brother, Gerald Kohmetscher.